KMOX's Charlie Brennan Is Coming! Spring means auction time at BTC and this year we are planning a fiesta! This annual event to support BTC School has become one of the highlights of the parish/school calendar each year. Don't miss out on the great food, fun and items up for bid this year with our special guest Charlie Brennan. The KMOX host has been a longtime supporter of Ferguson and that continues with hosting our 2019 Fiesta! and much more include many BTC themed items, Cardinals tickets and hand-crafted specialties! Have an item, service or gift certificate you would consider giving away? Donations are still being accepted. Contact Rob Grumich at rgrumich@btc-school.org or 314.749.7022 concerning donations or to reserve your spot at the event! As the public phase of the campaign wraps up, we have so far secured over $72,000 in pledges for 2019. Work will continue the remainder of the year to help us reach our goal of over $100,000 in contributions from individual donors. For the last decade, this campaign has been one of the key backbones of the plan to stabilize and grow BTC School from a point of peril to the thriving school it is today. Please help continue the 100 year old mission of Catholic Education in this part of North County by making a pledge today. Your financial gift will support the general operating budget of the school as well as tuition assistance for those families in need. No gift is too big or too small! Donations can be made on a one-time basis or set up to be withdrawn from your bank account or credit card on a weekly or monthly basis. Please considering giving the gift of Cathoilic Education to the next generation of our community's children! to the We Make a Difference Campaign. We'd Love to Hear Your Feedback on Our Website. Tell Us What You Like or Want to See Included! Life Teen Makes an Impact at BTC! Over the past months since their arrival at BTC, the five-member team from Life Teen has made an incredible impact - not only with youth programs, but in the entire parish community. They have been active new parishioners, brought fresh ideas and invigorated the youth of our parish in new ways. Thank you Stacy, Kiera, Nate, Chris, and Emily! Keep up with all their activity by clicking here! 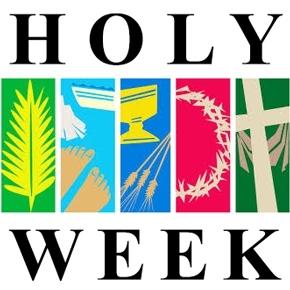 See below or click here for a complete listing of upcoming events around our parish and school. 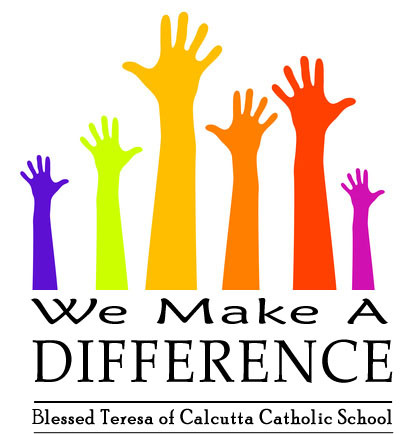 Blessed Teresa of Calcutta Parish School of Religion offers formal religious education to students in grades 1-8 who attend schools where religious education is not available.